Sign Supplies Can be Purchased With Confidence Through Our Warehouse! 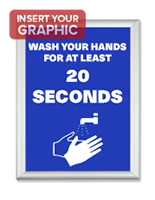 There are Thousands of these Ready to Ship Sign Supplies In Stock! Order by 1 p.m. EST to Have This Shipped Out Today! 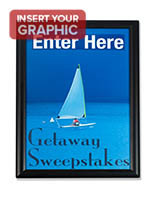 These sign supplies, fast snap frame, are excellent for exhibiting pictures, media content, and other 8 ½" x 11" prints. 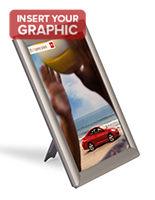 These sign supplies can be utilized as a wall or tabletop exhibit. 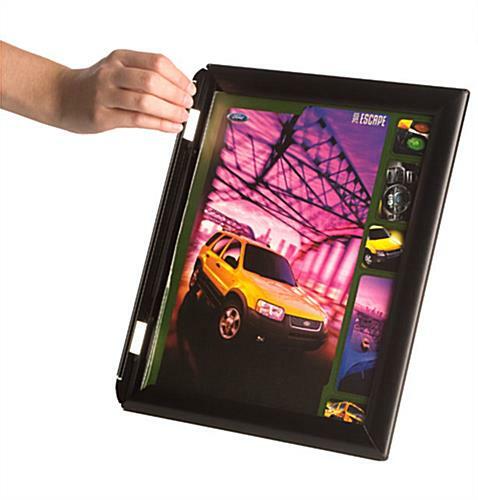 Four hinged sides flick open and closed in a snap for fast and simple artwork changes. 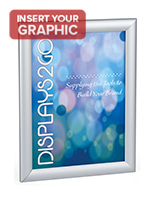 These modern sign supplies for home and business use also sport a black aluminum border that has a matte finish and fine profile. A non-glare lens covers your signage and protects it from ruin. 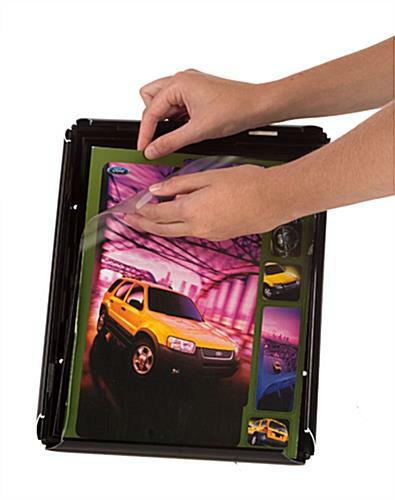 These fast snap exhibits, also recognized as sign supplies, include a fold out easel manufactured from molded acrylic. 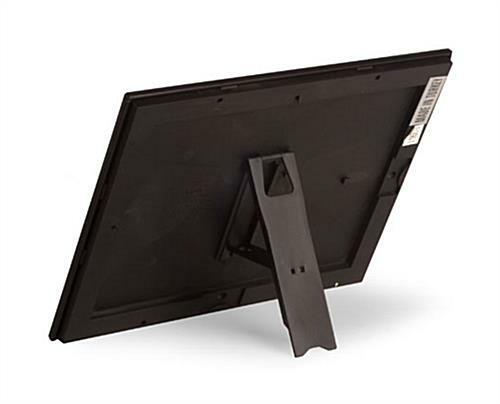 When utilized as a tabletop signage exhibit, this easel can quickly be adjusted from a vertical to a horizontal position. 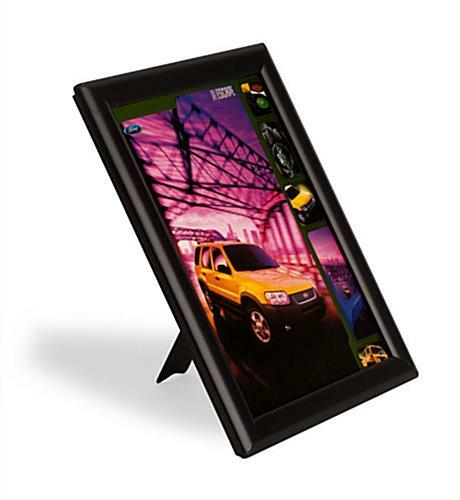 The picture frame can also be affixed to a wall; screws and anchors will be supplied. 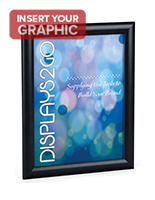 These sign supplies hold 8 ½" x 11" prints; nevertheless, a portion shall be covered by the framing. Overall: 12 ¼" x 9 ¾"
Viewable Area: 10 ¼" x 7 ¾"